Over the past years the Township has embarked upon an ambitious development plan for the Township Recreational Park on Beagle Club Road. The park is 128 acres; below is a list of features located at this park. Additional information on Pavilion and Rec Building , Splash Pad and Disc Golf look their pages under Park and Recreation. Park hours are Dawn to Dusk for all features of the park. Any question should be directed to the Recreation Director Monday -Friday from 8:00 am- 4:00 pm by calling the Township Office at 717-249-4409. Please remember that often times the pavilion is being rented on the weekends. (You can check the signs at either end of the pavilion to be certain.) If you are visiting the splash pad or playground but not in association with a rental, we ask that you leave the pavilion and the tables under the pavilion open for the paid renters, however you can use the tables that are not under the pavilion. Interested in renting the pavilion, you may call the office at 717-249-4409. 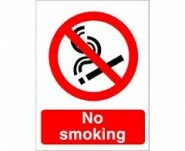 No smoking under the pavilion, on the splash pad,or on the playground/basketball court.